Non Celiac Gluten Sensitivity – Is it real? I have been in the restaurant business for many years. Over the last 7 to 8 years or so, there had been a dramatic rise in people asking about gluten free menu items claiming they were gluten intolerant, gluten sensitive, or had a gluten or wheat allergy. I figured it was all in their head, or that this was just another fad diet trend. But it got me curious, and got me thinking about why the massive rise. Not just a slight rise, but a truly huge rise in people claiming gluten sensitivity. Surely it is not possible that all of a sudden, many people have wheat allergies or Celiac Disease. So I decided to do some research to satisfy my curiosity. A search for “gluten sensitivity” in Google returns over 562,000 results. A search for “gluten free diet” in Google returns over 722,000 results. There are over 100,000 medical papers published on Celiac Disease and gluten sensitivity. It is estimated that 17 Million Americans claim gluten sensitivity. It is best estimated that around 2% of the population have Celiac Disease or gluten sensitivities. True Celiac Disease is a serious, genetic, autoimmune disease where the ingestion of gluten causes damage to the small intestine. This is a genuine, diagnosable medical condition. Wheat allergies are another serious health condition and those with a true allergy would likely have a reaction with anaphylaxis (an allergic reaction requiring epinephrine). But what about non-celiac gluten sensitivity (NCGS)? 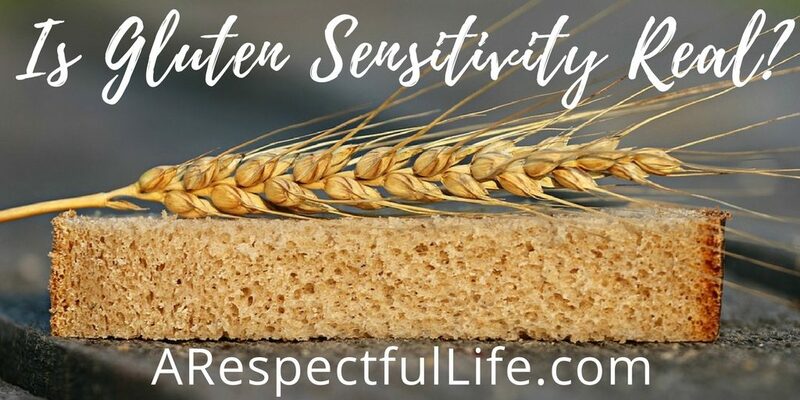 Gluten sensitivity or intolerance is a condition that causes a person to negatively react after ingesting gluten, a protein found in wheat, barley and rye. Those with NCGS have symptoms similar to Celiac disease such as “foggy mind”, depression, abdominal pain, bloating, diarrhea, constipation, headaches, bone or joint pain, and chronic fatigue. NCGS has variable and wide-ranging symptoms which overlap with a number of other diseases (like Irritable Bowel Syndrome) making it difficult to study. Many have argued that NCGS does not exist at all or that it may not be caused by the gluten portion of foods. A lot of food companies have jumped on the gluten-free bandwagon in order to profit from gluten-free products. There are now many purveyors of the ketogenic and paleo style diets. Their associated companies, supplements, and programs have also jumped on the gluten-free bandwagon as a result of populist consensus and consumer demand. Interestingly, it is difficult to find good information on the topic that includes solid science. Most of the articles and ‘studies’ have inconclusive evidence of NCGS as a medically founded condition. Predominant Media Outlets like Forbes, NY Times, and Time Magazine all publish articles that question if gluten sensitivity even exists. They cite a 2011 study that failed the nocebo effect involving all of 37 people and conclude that NCGS is all in people’s head or that another condition exists instead. FODMAP’s (which is an acronym derived from “Fermentable, Oligo-, Di-, Mono-saccharides And Polyols”, and are short chain carbohydrates that are poorly absorbed in the small intestine) are now being blamed for IBS instead of gluten. Some studies have been done to justify this prognosis. Without going into great detail on this extensive subject, NONE of the studies that have been done are ruling out one thing first without the other. At least one of these studies have been funded by a big food company Nestle. Nestlé owns over 8,500 brands in over 80 countries which includes a heavy investment in the wheat industry. In addition to not having solid science on this topic, big industry often confuses this issue as there are many fad foods and supplements out there to ‘help’ people with FODMAP issues and IBS. Perhaps you have heard the term ‘Leaky Gut Syndrome’. It is also called ‘Increased Intestinal Permeability’. This ‘syndrome’ lumps IBS, food sensitivities, inflammatory conditions, mood disorders, and even autism together. Many online ‘doctors’ suggests that those with a ‘leaky gut’ should buy a certain e-book, paleo cure book, take certain probiotic supplements, and even consume bone broth (all conveniently available on their websites). If you do a search for “Leaky Gut Syndrome”, every self-help online medical adviser, every magazine, many fad diets, and many supplement companies have just the answer you need in only 4 easy steps. Huffington Post (The leader in investigative journalism – Note sarcasm) has ‘ Everything You Need To Know About Leaky Gut Syndrome’ in 10 simple paragraphs. Yet we can’t come to a scientific conclusion about gluten and wheat sensitivities, and this syndrome is a medical mystery! What about the organizations that are supposed to help with Celiac Disease and NCGS? You can imagine that wheat is a big business. There are billions of dollars at stake in the wheat industry. From the farmers, to the big agriculture companies, to the food manufacturers, to the crop insurance companies, to the commodities brokers, to the transportation companies (which also would includes fossil fuel), to the fertilizer and pesticide manufacturers. Some of these companies fund studies to confuse the issue and cast doubt on NCGS. Incidentally, the goal of the National Wheat Growers Association is to double the wheat production by 2030 to meet demand of a growing population. I did find one decent study that was a randomized, double-blind, placebo-controlled crossover study of individuals with self-reported non-celiac gluten sensitivity. They found that Fructans was a more likely cause of IBS. Fructose Malabsobtion is another possible cause of IBS. This is directly related to having a healthy gut microbiome. I could not find any studies that eliminate dairy products first in NCGS patients. However, approximately 70 percent of African Americans, 90 percent of Asian Americans, 53 percent of Mexican Americans, 74 percent of Native Americans, and 14 percent of Caucasian Americans are lactose intolerant!! 90% of the population in China is lactose intolerant! I also could not find any studies conducted on those that seem to have IBS with NCGS that included introducing organic wheat. All studies only refer to wheat or gluten in general. What percentage of people do you suppose are glyphosate intolerant? Glyphosate is Roundup. It is a pesticide used in agriculture. It is also used in the desiccation process (drying of wheat prior to harvest) in a lot of our wheat supply. It is also used on 70 different crops in the US including wheat, soy, tomatoes, sugar, nuts, oranges, apples, beans, and corn . Glyphosate has been banned in Italy, Malta, Sri Lanka, The Netherlands, and Argentina. It is part of the reason for Brexit (The E.U. was close to a ban on glyphosate and Britain framers didn’t want the regulation). The World Health Organization’s research arm declares glyphosate a probable carcinogen, and it was just recently placed on the list of ‘Probably Carcinogenic’ in California. A search for ‘antibiotics healthy gut’ give 728,000 results and the prevalent theme is that antibiotics wreak havoc on a healthy gut. FACT: Glyphosate is antimicrobial. An antimicrobial is an agent that kills microorganisms or stops their growth. FACT: Antibiotics are used to kill microbes. FACT: Much of our food supply is loaded with antibiotics (namely meat and dairy). FACT: Gut Health or ‘Healthy Gut Flora’ requires the presence of microbial bacteria. FACT: The standard American diet is low in healthy bacteria. FACT: Each year in the United States, at least 2 million people become infected with bacteria that are resistant to antibiotics and at least 23,000 people die each year as a direct result of these infections. Source: CDC https://www.cdc.gov/drugresistance/index.html There has been a surge in antibiotic-resistant microbes. FACT: The animals that are raised for consumption in the US and most of the Westernized world consume crops that use glyphosate. What percentage of animal waste contains antibiotics? This is the same waste (manure) that we use to fertilize our soil for crops. Is antibiotic laden animal waste contributing to antibiotic resistant strains of harmful bacteria? Is the manure that has been found to contain antibiotics and thus fertilizing our crops contributing to unhealthy gut flora? If we are killing off all of our healthy gut bacteria by what we consume, wouldn’t that contribute to IBS, NCGS, Leaky Gut, and Food Intolerance? If we change our diet to include foods that nourish us and aren’t full of pesticides and antibiotics won’t that change our insides and ultimately our health? I am convinced that nutrition is the primary factory that contributes to our health. I have tried various health and diet fads. In the long run, they don’t work. I am also convinced that eating a whole foods, plant based diet that is completely organic is the best thing for optimal health. That will be the topic for my next post. In the mean time, watch the documentary ‘What The Health’ on Netflix. It is an eye opening look at the effect of big business and lobbyists on the organizations like the FDA, the American Cancer Society, the American Diabetes Association, and the American Heart Association. They are supposed to be helping us but are unduly influenced by big business. Please check out my other blog posts. As always, if you have any questions about my content please feel free to reach out to me directly. Previous ArticlePrevious Post: What Do Vegans Eat? I have been a server at a popular Italian chain restaurant and I agree, gluten-free requests have become more popular over the years. My boyfriend learned that he had Celiacs disease during his freshman year in college, and I see firsthand what happens when he eats gluten. Great post! It has been a huge rise! Thank you I am glad you liked it! I have NCGS per my doctor, but I also have major problems with dairy and eggs, so I avoid them as much as possible. Interestingly, I also have contact reactions to wheat flour and products that contain wheat making me wonder if I also have an actual allergy to wheat. Glad you liked the article Heidi. Thank you for your comment here and an Facebook! Very good information and insight. I agree that the science on NCGS is poor. Eliminating dairy for those with IBS seems like a great idea!! Thanks, keep posting. Hello! A huge thumbs up for this excellent info you have here in this post. We are coming back to your blog site! I just like the helpful information you supply in your articles. I’ll bookmark your blog and take a look at again here frequently. I’m reasonably sure I will be told a lot of new stuff right here! Looking for the next!